Free People is resorting to something innovative in the way it markets $96 tank tops that look like sun-stained handkerchiefs: scrapping models entirely. For a two-week span starting tomorrow, all of the images used to sell certain clothing items will be user-submitted photos of shoppers modeling the items they purchased. 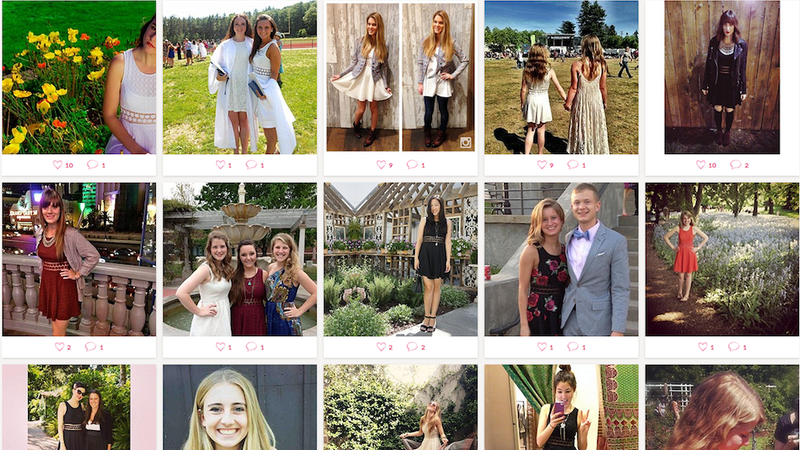 One year ago, Free People launched FPMe, an online community where customers can upload shoppable photos of themselves in their Free People outfits. Additionally, online items are often accompanied by photos of customers wearing them. Data from the past year has shown a 42 percent improvement in the same session conversion rate (i.e. someone buys something) on FreePeople.com when FP Me Pics are associated with product on the page. So, Free People is launching a special new section on its site this Saturday called "FP Me," where you can browse a curated a selection of the most popular FP Me images, which will replace typical model shots (see an example above) for two weeks. In fact, Free People is one of many companies to notice that it seems that women are more likely to spend money on clothing if they can see clothing modeled by people who look like them rather than aberrantly tall and thin women who are genetic outliers; according to the announcement, Calvin Klein, ModCloth, and NewBalance have all dabbled in selling clothing with submitted consumer photographs featuring all kinds of shopper body types — chubby, bony, lanky, stocky, whatever. This isn't to say that models should go away forever (duh). Models look great in clothes, and it's fun to look at people who look great in clothing, but for most of us, it's impossible to tell by looking at clothing on a model how the clothing will look on our actual bodies. That's why it's refreshing to see this tactic employed by more companies, and it's nice to see a departure from the airbrushed photoshops of horrors many clothing manufacturers still use to sell women's clothing. I'm still not spending $128 dollars on this, though.